What’s there not to love about decking? Its warm, its organic and it adds a subtle but powerful dimension to any property. Here in Australia, we’re extremely lucky to have some of the finest timber growing within the shores of our wonderful country. Whether you have decking already or not, we’d love to share with you some great decking tips that you should definitely know. If you’re planning on putting a deck in your home or yard, we have some great deck building tips (including the best way to build a deck) that will help you greatly in your endeavours. For over 25 years we’ve been the premier timber supplier for many high quality projects across Victoria, specialising in a range of decking timbers including treated pine decking and merbau decking. In this time we’ve learned a thing or two about decking that we hope will add some value to you today. 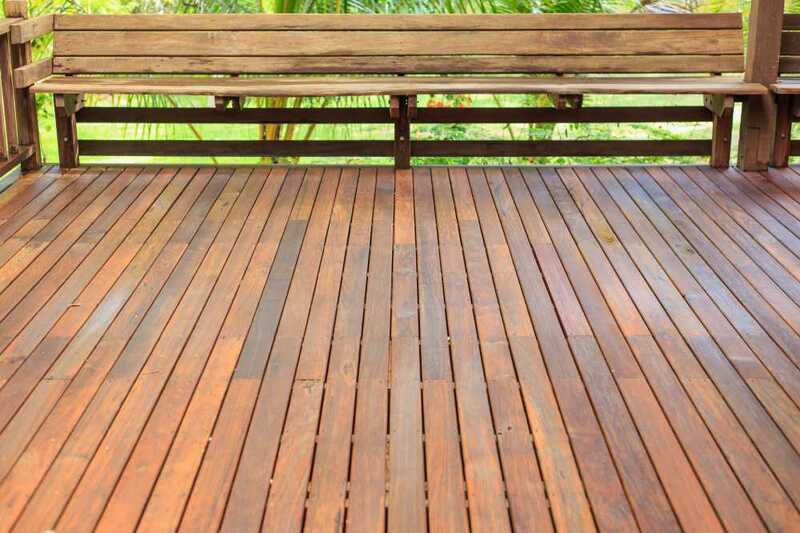 When it comes to building a timber deck, there are a few approaches you can take. The one we believe is the best, begins with creating a plan! Before you start building, you need get approval from your council and ensure that there are no cables and pipes running underneath. It’s also just common sense to have the overall design of your deck made before starting. Next you’ll want to set out your deck and make the correct measurements. This is extremely important as incorrect measurements can derail your deck. After this, you’re going to want to install stumps and bearers for you new deck, followed by the joists. Finally, you can lay the decking boards. This is just a simple and brief explanation of how to build your deck, but as you can see—it’s actually quite simple. There are a couple of ways nowadays that you can acquire your decking. Conveniently enough, many suppliers sell their decking online, which makes things nice and easy. For a while now, we’ve offered timber online for the sake of our customer’s convenience, and it’s proven to save both time and money for them. While building a deck, one of the biggest mistake you can make is buying low-quality screws. While you will save money initially, over time they will corrode, discolour your deck and take years off its life. This is especially the case if your timber is pressure treated. Ensure you grab some stainless steel or coated screws for longevity. Nowadays, there are more options than ever when it comes to decking. Home styles are evolving and it’s getting more and more fun to craft decking to suit a particular aesthetic. If you want some expert advice and guidance, feel free to contact a friendly member of our team for assistance. An accessory such as deck railings can really take your deck set-up to the next level (not to mention add functionality and protection). There are so many materials to choose from today, including glass, vinyl, metal, cabling and composites. Depending on your style of home and decking, you can choose the most appropriate one. Decking is a wonderful part of any home and we hope that these tips have helped you in some way today. Do you have any other tips to add? If so, let us know in the comments below. « Why Should You Buy Treated Pine Timber Online?